The latest original series from online streaming platform Dekkoo is Out On Stage. Hosted by Zach Noe Towers, the series brings together queer stand-up comedians to showcase humour from an LGBTQ perspective. 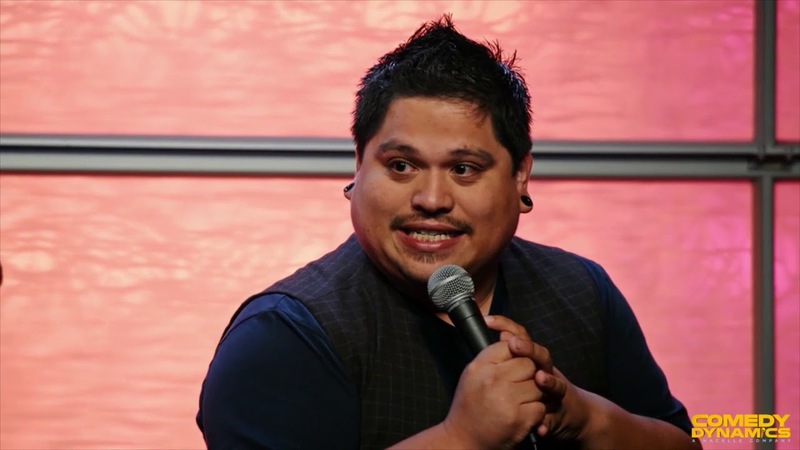 I caught up with Anthony Desamito – one of the comedians featured in the series – to talk about queer comedy. How did you feel when you were invited to take part in the Out on Stage series? It was a mixture of excited, nervous and being proud of myself. In the past, so many old road comics have told me – “Stop doing so many gay jokes, it’ll pigeon-hole you.” I ignored them and listened to myself, and getting invited to be on Out on Stage really proved that they were wrong. What does it mean to you to be in the first all queer stand up series ever? It means a lot. I’m a first generation Chicano, and to be a part of gay history has always been a goal of mine and it will continue to be so. I think it’s so cool of Comedy Dynamics to have stirred up this concept with Zach, it’s only the beginning of what gay comedy is going to become, and breaking barriers is what it’s all about right now. How did you prepare for the taping? My set was super prepared. We had a month or so to prepare for the taping, so it was crunch time. But I think that’s the norm with TV, you’ve got to prepare! Please don’t wing it on TV, it’s not pretty! I’ve seen it! Were you pleased with how you delivered your routine? Yes, I wanted to get these jokes taped so I can move on with my life! Sometimes you write faster than you can get material on TV, especially if you’re still working towards your first hour special. What was it like being part of a show where everyone in the line-up was queer and delivering sets that focused on the queer experience? I came in knowing most of the guys and girls on the show from seeing them around town, so it was mostly fun to see a lot of my friends. It was really cool to be a part of an all-gay stand-up cast, especially right now when we really haven’t had a gay comic blow up in a while. What do you hope that people feel when they’re watching your routine as part of Out on Stage? I hope that other chubby or skinny, gay Latinos, perhaps from Mexico, perhaps coming into their own sexual orientation, see me and think, oh I’m being represented. I hope they think differently about what their limits are in this country if they see someone from their very machismo culture out-of-the-closet and saying funny things on TV. I’m hoping to do more touring than I ever did before. I want to do more Prides, I want to headline more clubs and venues. Some acting and definitely more stand-up on TV! I’m excited to stretch my legs this year in terms of what I’m writing. I’m going into my ninth year of stand-up, and I really feel like I’m going to surprise myself this year.